As one of the oldest states in the Union, Virginia has a wealth of history and heritage, and the Roanoke Valley in Virginia&apos;s Blue Ridge is proud to be part of that history. The region boasts a unique railroad heritage and the culture of Virginia&apos;s Blue Ridge Mountains has been shaped by the character and traditions of multiple generations. A fantastic collection of museums and historical sites provides visitors the wonderful opportunity to experience the history and heritage of our area. The following three-day guide offers a multitude of ideas on how to enjoy a trip built around the history of Virginia&apos;s Blue Ridge. The following activities are all located within close proximity to Interstate 81, which travels north/south through Virginia&apos;s Blue Ridge. Learn about how early settlers influenced the region at the Historic Smithfield Plantation - built in 1774. Tour the beautiful and iconic campus of Virginia Tech in Blacksburg. See how the Salem Museum & Historical Society is preserving the past while informing the future. Visit one of the Civil War sites of the region by seeing the spot that commemorates the Battle of Hanging Rock in Salem. Read more about the Civil War history of Virginia&apos;s Blue Ridge. 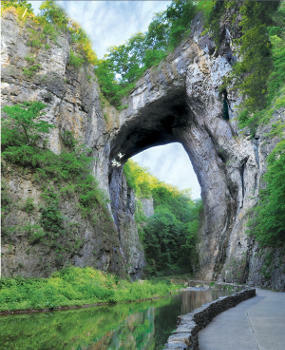 Discover one of the most breathtaking natural sites in Virginia with a trip to Natural Bridge Park, which features a 30-story-tall bridge of natural rock. Begin your day at the Roanoke Star & Overlook. This incredible structure stands tall over the region and was constructed in 1949. Take a drive on the Blue Ridge Parkway, known as "America&apos;s Favorite Drive," to the Peaks of Otter, where the charming lodge has been hosting travelers for decades. Honor the brave men who gave their lives for our country during WWII with a visit to the National D-Day Memorial in Bedford. See where Thomas Jefferson used to take retreats at his Poplar Forest estate. Find out about the childhood of one of our nation&apos;s most iconic African American leaders at the Booker T. Washington National Monument. Experience the charm and great flavors of the ice cream and food at Homestead Creamery, known throughout the Southeast for its delicious dairy products. Explore the rich railroad history of the Roanoke Valley by visiting many spots in Downtown Roanoke. Walk through The Hotel Roanoke & Conference Center, constructed in 1882 by the Norfolk & Western Railroad Company and listed on the National Register of Historic Places. Tour the O. Winston Link Museum and learn about the life and work of the man who gave us so many beautiful black & white railroad photographs. Make your way through the David R. & Susan S. Goode Railwalk, a 1/4 mile interactive walk that tells the story of the railroad in the region. Learn about the defining moments for the transportation industry in the state by visiting the Virginia Museum of Transportation. Sample various products and meet the special people who make up the Historic Roanoke City Market - which began in 1882 and has been recognized as a "Great American Public Place." 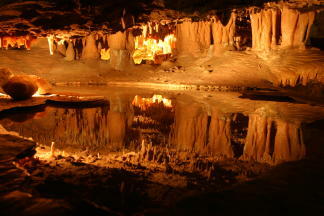 For more fun activities, visit our page about History & Heritage in Virginia&apos;s Blue Ridge.